We are happy to announce the release of the first version of Gaby. Posting information across many WhatsApp groups. Collecting and processing data feeds from WhatsApp groups. Reporting on processed data and member engagement. Advertising on both owned & operated channels. Influencer branded content partnerships (i.e. podcasts and video series). Sponsored broadcasts over hi-end groups. Branded social media & email marketing campaigns. 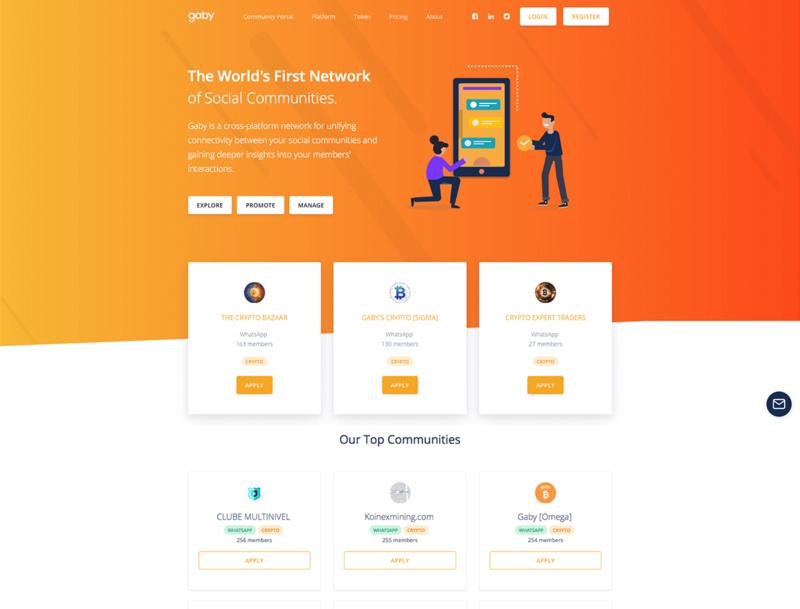 Gaby Crypto Baskets are a technology product based on smart contracts, that receives Ethereum (ETH) and on the same transaction sends back a collection of ERC20 tokens while paying out predefined commissions. Everything is done in a single secure transaction and is transparent on the ETH blockchain.